Newcastle Airport Arrivals is the unofficial website and guide to the comings and goings at Newcastle International Airport. The North Easts gateway to the world. The city of Newcastle is a vibrant and historical city with friendly people and lots to see and do. Classed as the party capital of the UK and even Europe the city could give Las Vegas a run for its money. Newcastle International Airport is the busiest in the North East of England and serves destinations across the UK and overseas with a host of airlines. 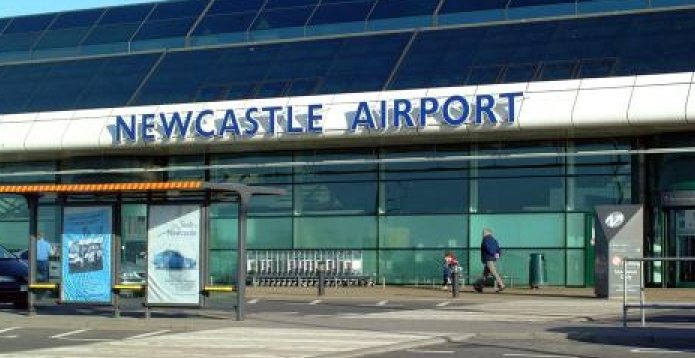 If you planning to take a flight to or from Newcastle Airport or you are picking up or dropping off then Newcastle Airport Arrivals will tell you all you need to know. The airport is a busy hive of activity with hundreds of flights arriving and departing every week to and from many destinations. Our unique information pages allow you to check the arrivals and departures from the airport to ensure you are kept up to date and informed. Clicking on the links above takes you to the flight checking pages. Newcastle Airport Arrivals is one of a number of websites that act as guides to many of the UK’s leading airports. The airport is situated to the North East of Newcastle close to the town of Ponteland and the affluent area of Darras Hall. Darras Hall is home to many premiership footballers and stars of the North East. Transport links to and from Newcastle Airport are excellent, the main A1 road is close by and the site is also connected to the city of Newcastle and Sunderland via the Tyne and Wear Metro system. The Metro is an over ground and underground rail system that offers frequent trains across Tyneside and Wearside. Frequent buses also service the main terminal building linking many places with the Newcastle Airport Arrivals and Departure points. There are a number of quality hotels that serve the airport including the new Hilton Double Tree Hotel which offers a little bit of comfort. The airport is well connected and is served by ample short and long stay car parking. The parking is available both on the airport site and close by. If you are thinking about driving to the airport see our Newcastle Airport parking page. The links above allow you to track live departures and Newcastle Airport Arrivals. You will always be up to date when waiting for a flight to arrive at Newcastle International Airport. The transport hub has helped build the economy in the North East of England linking the area to the rest of Europe and the world. Major airlines such as Emirates and British Airways arrive and depart on a daily basis providing flights around the world. Although the Airbus A380 does not fly from Newcastle you may be able to see the Boeing 787 Dreamliner take off in Thomson Holidays colours. With regular flights out of NCL it is a pleasure to watch it land and take off. 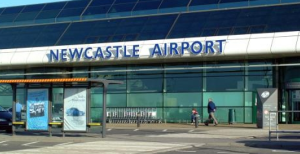 If you are checking a flight arrival time, how to get to and from the airport or you just want to find out more information, Newcastle Airport Arrivals offers all the information you need. The live arrivals page lets you keep up to date on the planes making their way to land at the airport. At Newcastle Airport Arrivals we aim to keep all of the information on this site up to date and we cannot be held responsible for any incorrect information, after all this is an unofficial guide. Flights have a habit of being late from time to time so please don’t get upset if things are not 100%. If you have any suggestions or would like more information on this website or any other in the range then contact us today. Newcastle Airport Arrivals is one of a number of sites that provide up to date flight information. The flight information is for both arrivals and departures from the main airports in the UK. For more information about the other unofficial airport guides see UK Airport Arrivals which is a page with information about the partner sites which like this one offer live flight inforamtion.